Ali Riza Taskale teaches social and political theory at Near East University, Nicosia. Prior to joining Near East University, he was an Assistant Professor in the Department of Political Science and Public Administration at Hacettepe University, Turkey. His research interests include social and political theory, critique of (neo)liberalism, cinema and social futures. His research has been published in journals such as Contemporary Political Theory, Theory, Culture & Society, Journal for Cultural Research and Third Text, along with a number of book chapters in edited volumes. 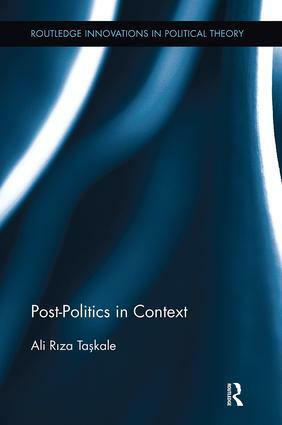 His most recent book is Post-Politics in Context (Routledge, 2017). He is currently working on the politics of imagination.